Sony have launched their new mid-range XA2 smartphone into the Australian market. 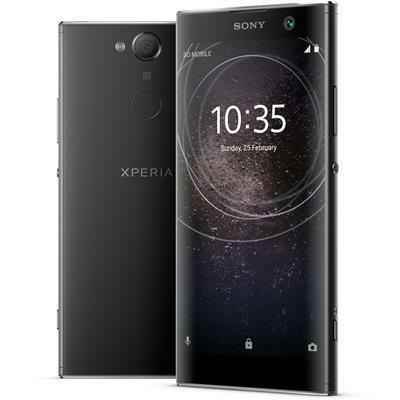 "We’re excited to bring such a strong mid-range product to the market that is packed with Sony Mobile’s exceptional Xperia camera technology and impressive performance features, housed in a sleek, intuitive design,” said John Featherstone, Managing Director, Sony Mobile Communications Oceania. The 5.2-inch Sony XA2 features a 23-megapixel rear camera with a larger 1/2.3-inch Exmor RS image sensor and support for both 4K video recording and 120FPS slow-motion video capture. On the selfie side of things, the XA2 touts an 8-megapixel sensor that's paired up with a wide-angle lens. Then, under the hood, it brings together the combined might of a Qualcomm Snapdragon 630 CPU and 3GB of RAM. The device only has 32GB of on-board storage but it does support expansion via MicroSD. The Sony XA2 runs on Android 8.0 Oreo, supports dual SIM and also features both 3300mAh battery and fingerprint sensor. The Sony XA2 is available from today through both JB Hi-Fi online store for an RRP of $549. Sony say the XA2 will come to retail JB Hi-Fi and Sony outlets from the 17th.